We are armoured infantry in the UK’s elite Reaction Force, and train hard to fight easy. We are renowned as tough partners in combat, doing the job without fuss or frills. First Fusiliers are based in Tidworth, equipped with the WARRIOR Armoured Infantry fighting vehicle and are part of the Reaction Forces A2020. Fifth Fusiliers specialise in light role operations and are based in Durham and Newcastle. 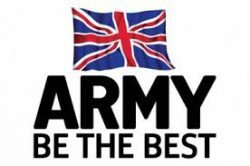 Both battalions have the ability to deploy highly motivated and trained soldiers who can adapt quickly to any challenging scenario.